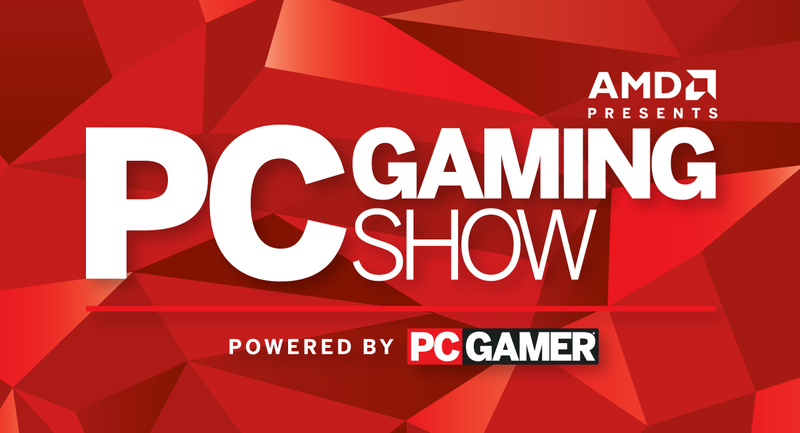 LOS ANGELES, Calif. – May 5, 2016 – “AMD Presents The PC Gaming Show Powered by PC Gamer,” the second annual event for developers, publishers, hardware companies, press and fans, has today announced new participants. Cloud Imperium, Studio Wildcard, TaleWorlds Entertainment, Torn Banner Studios, and other presenters will take the stage at The Theatre at Ace Hotel at 11:30am PDT on Monday, June 13. The four companies join Bohemia Interactive, Relic Entertainment / SEGA and Tripwire Interactive as previously announced presenters. With first-looks, exclusive content, new announcements and PC legends taking the stage, this year promises to deliver another PC-focused event for the largest community in gaming. With a refined format and participant list for 2016, PC Gaming Show will celebrate PC’s history as the most powerful and affordable platform for gamers and highlight the best of what’s to come for the medium in virtual reality and esports. The conference will be streamed live in partnership with Twitch during their “Day Zero” E3 coverage from the The Theatre at Ace Hotel in Los Angeles on Monday, June 13. Behind the scenes coverage will be available in the form of a pre-show, hosted by PC Gamer starting at 10:30am PDT. The venue will also be open to consumers at this time. A post-show hosted and streamed live by PC Gamer will follow the official conference and will provide exclusive interview access with many of the show’s participants. For more information, please visit: www.PCGamingShow.com and follow #pcgamingshow. For media wishing to attend, press registration is now officially live, please visit: www.PCGamingShow.com. PC Gamer is the global authority on PC games. For more than 20 years, it has delivered unrivaled coverage, in print and online, of every aspect of PC gaming. Our team of experts brings readers trusted reviews, component testing, strange new mods, under-the-radar indie projects and breaking news around-the-clock from all over the world.